We specialize in residential and commercial, interior and exterior house painting on O'ahu and the rest of Hawaii, with a focus on customer service. Because we know Painting is Personal! Our CertaPro team members are true professionals who take great pride in their work. Experience counts for a lot in the painting business, but it's how we apply that experience that makes the real CertaPro difference. You're sure to find what you're looking for in our complete list of Exterior Painting Services and Interior Painting Services. From prep, priming and painting to carpentry repairs, from specialty coating to help with color selection, we're the painting company for all your painting needs. 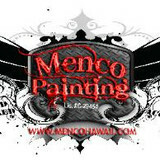 After years of industrial painting MENCO PAINTING was formed and services Oahu. As with most painting companies we first approached the new construction market. After a few years of testing the market we were able to narrow our expertise to painting and staining homes that are occupied, working directly with the homeowner. This required a finer definition of "painting quality". Unlike new construction, not only was our effort to be providing a first rate paint or stain job but a higher priority arose i.e. care for the homeowner's property. Before beginning, all care is taken with the covering of: glass, driveways, shrubs, trees, vehicles, fixtures, roofs, essentially anything that is not to be painted. Also we realized we could not 'move in' taking over the home for an unspecified period of time. We had to present and adhere to a frame of time to which we were held accountable. We most often have a schedule that extends out two to three weeks . We are able to tell you that far in advance the date and time we will arrive. Consequently we gained a reputation, second to none, for being Quick, Quality conscious and very Competitive. Be sure to visit our ‘Testimonials’ page. There are many happy customers in our database. MENCO PAINTING has endeavored to do business with integrity incorporating the "Golden Rule" and "Extra Mile" principles when working with both homeowners and employees. We've been providing the island with prompt, reliable service for over 40 years. Work with us and you're sure to get expert workmanship from our experienced team. When you're looking for interior or exterior painting services, call our dependable team. You'll get top quality workmanship and prompt, friendly service. No matter where you live on the island, we're happy to serve you. We offer 1-2 years workmanship warranty on all of our painting jobs. 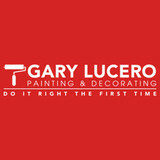 If you are looking for professional house painters in Honolulu we canhelp. Five Star Painting offers the best painting services in Hawaiiusing skilled contractors as well as quality paints and materials. We can schedule a free estimate for your home or business with honest upfront prices so there are no surprises. Fresh Coat Painters of Central Oahu is an independently owned and operated painting and drywall repairs company. We also offer a wide range of other services, including pressure washing, epoxy coatings, faux painting, popcorn ceiling and wallpaper removal. Triple D Painting is the complete source for all of your commercial, High Rise, Residential, and Industrial needs. 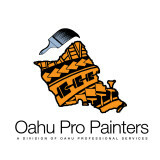 As a fully insured Hawaii painting contractor, we provide a quality performance to meet your expectations. No job is too large or too mall. At Triple D Painting, we take pride in our efficiency and premium service, as well as our dedication to leaving the customer satisfied with our excellent workmanship and dependable employees. Regardless of the project size, our goal is to satisfy our customer needs with high quality service and affordable prices. Our goal is to be your one stop solution for any project need you may have. Komori Painting started in 2006, we are here to meet your needs in providing you with quality and substantial expertise in painting and other renovation needs. No job is too big or too small just give us a call. We believe in quality, efficiency, and doing everything cost consciously. Owner and founder of Three Peaks Painting, Alex hails from Brazil by way of Japan. He's worked years in the Japanese construction industry, learning the trade and what it means when it comes to hard work and attention to quality and customer service. Now calling Hawai'i home, Alex is an avid paddler and ocean lover. While not working you'll see him on the water or spending time with family. While working with a paint master in Texas, the founder of The Day Rate Painter was taught an eight step system for painting and staining newly constructed homes in the greater Dallas area and the surrounding tri-states. He took this system further by incorporating his own cost cutting and time saving techniques into every job he did. It is those very trade secrets that have cultivated The Day Rate Painter into what it is today. These techniques have been very effective for many years now, saving our customers time and money. The founder of The Day Rate Painter believes in bringing the best value and customer service to every customer. He is also responsible for all of The Day Rate Painter’s mottos: “We always show up and are on time”, “You wouldn’t believe what we can do in a day” and “No Estimates… Just a Painting Professional with Nascar Speed.” It is with our Diligent, Reliable, Professional (DRP) service that The Day Rate Painter really began to take off! DRP team painters are committed to the success of The Day Rate Painter and we are always looking for more ways to please our customers. Let us know how we can serve you better! 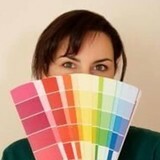 Hawaii's finest home, house, and commercial painting service company. We are called HI's Dream Home Painters because we help you and you family's dream home dreams come to life for your lives. We proudly service the island of Oahu island-wide from the Windward to the Leeward side, up north to down south and everywhere in between. With over 20 years of experience and a service oriented mentality, we strive to make your dream home dreams a reality! Call us today at (808) 425-9394 for your FREE estimate and dream home painting consultation. Much Mahalo and Aloha always! At DM Painting, we believe that you shouldn't have to spend an arm and a leg to get quality work. We pride ourselves on offering fantastic services while keeping our rates low. When you choose to work with us, you won't have to make sacrifices; you can get it all. We paint both interiors and exteriors with ease, and we do it with a smile on our face. We have a passion for painting, and we want to share that passion with you. Working with you to get ideas from scratch, or ones that you've been dreaming about for a lifetime, we're here to make your dreams become a reality. With state-of-the-art technology, our painters will be in and out of your home in less time then you ever thought imaginable. And you'll be shocked at how amazing your house looks with our services. Our Mission: To perform for our customers the highest level of quality construction services at fair and market competitive prices. To ensure the longevity of our company through repeat and referral business achieved by customer satisfaction in all areas including timeliness, attention to detail and service-minded attitudes. To maintain the highest levels of professionalism, integrity, honesty and fairness in our relationships with our suppliers, subcontractors, professional associates and customers. R&M Painting, LLC was founded in 2005 by Roy Kaululaau. Roy has been in the painting business for over 35 years. His expertise and professional workmanship are great additions to his passion for exterior, interior, commercial and residential painting. He takes safety, convenience, budget and appearance into consideration while producing the best look for any painting job. Roy is born and raised in Waianae, Hawaii and is a U.S. Veteran.